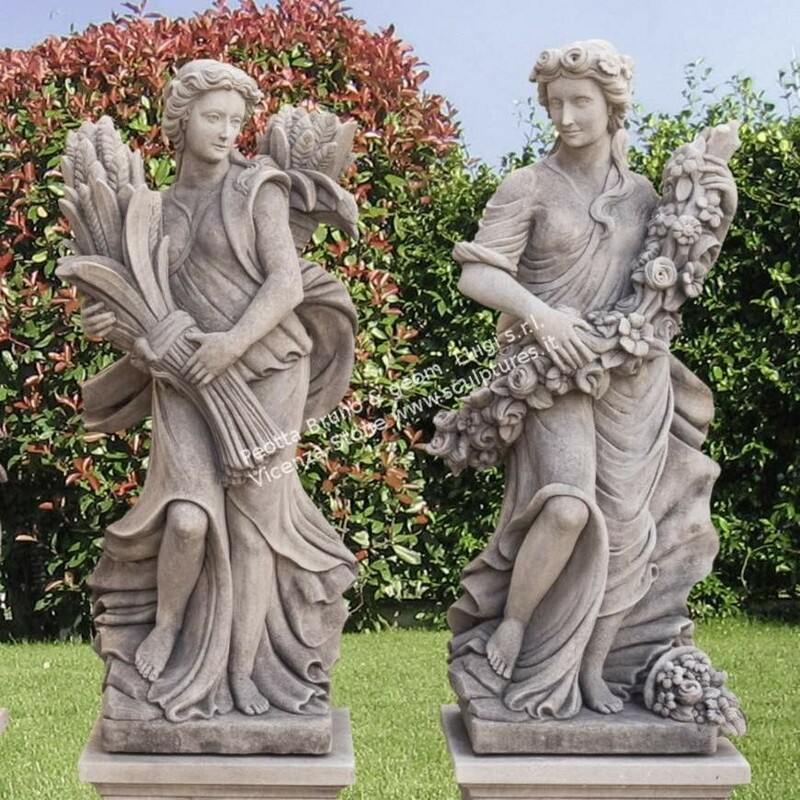 Set of Hand carved stone female statues depicting the four seasons. 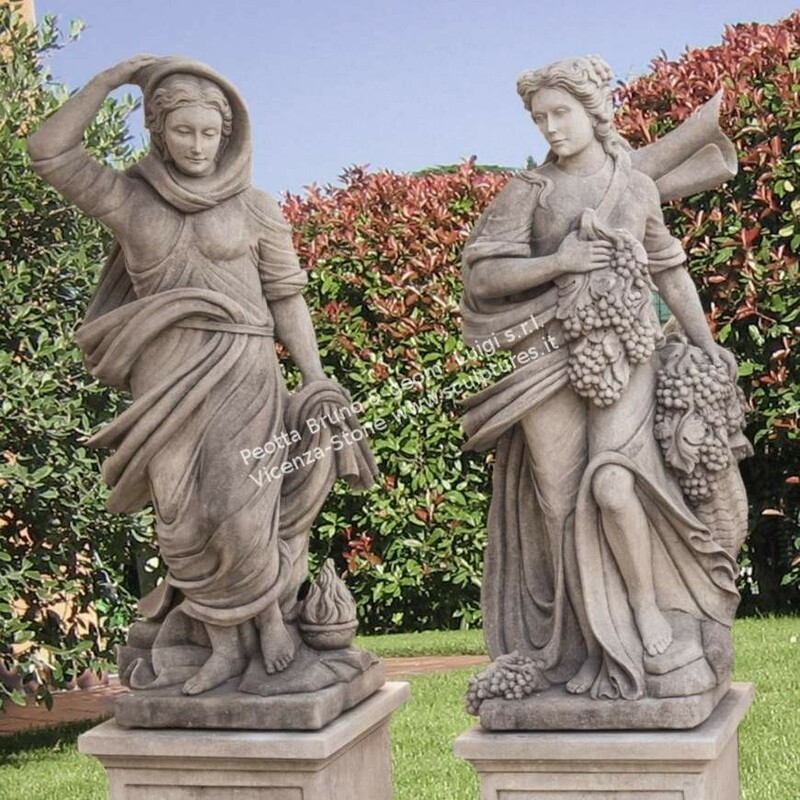 Classical Italian sculptures. 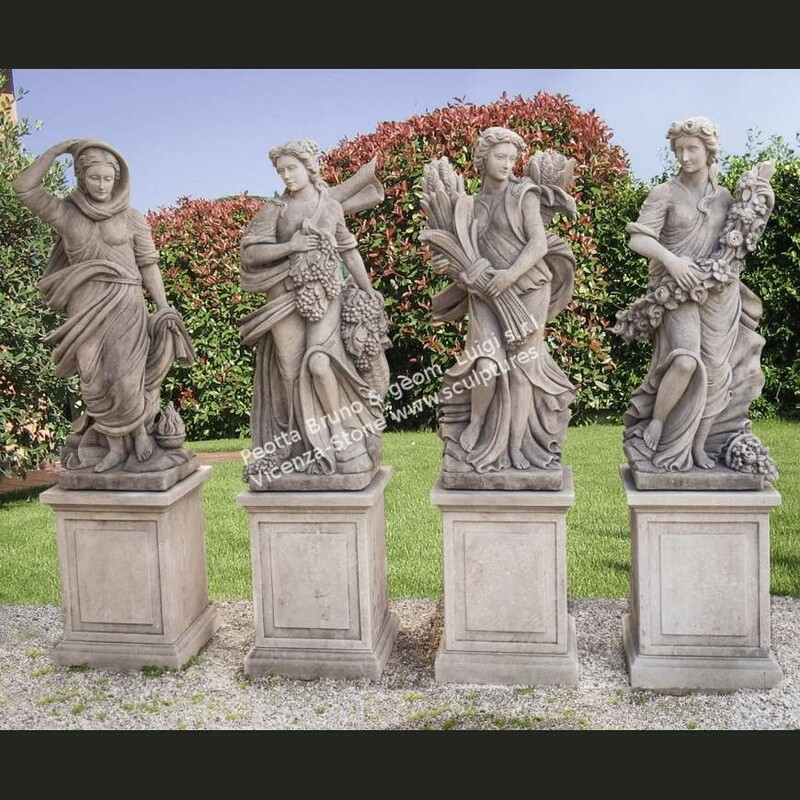 The statues are complete with bases as pictures. Great decoration on each statue.